Create a powerful dual video workstation with the Targus 4K USB-C Universal Docking Station. Connect up to two displays for crisp, clear images at resolutions up to 3840 x 2160. 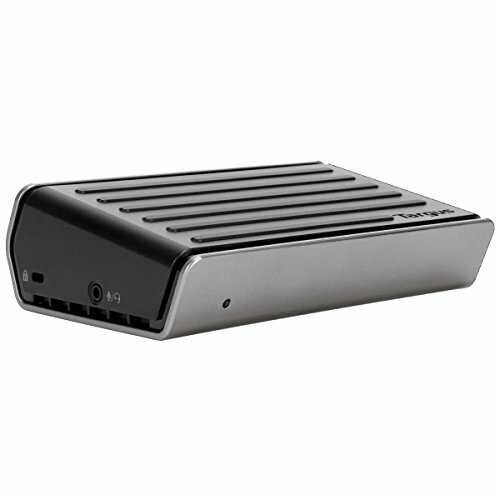 Perfect for tight spaces, this compact dock is compatible with USB-C technology and features stacked ports for a footprint that's approximately half the size of typical desktop docking stations. With three USB 3. 0 ports (including one that's powered for charging devices), plus an Audio In/Out port for speakers, mics, or earphones, it's easy to customize your workstation. Truly universal, the dock connects to multiple laptop and PC tablet platforms and brands. Black/Gray. Targus. Everywhere You Work.